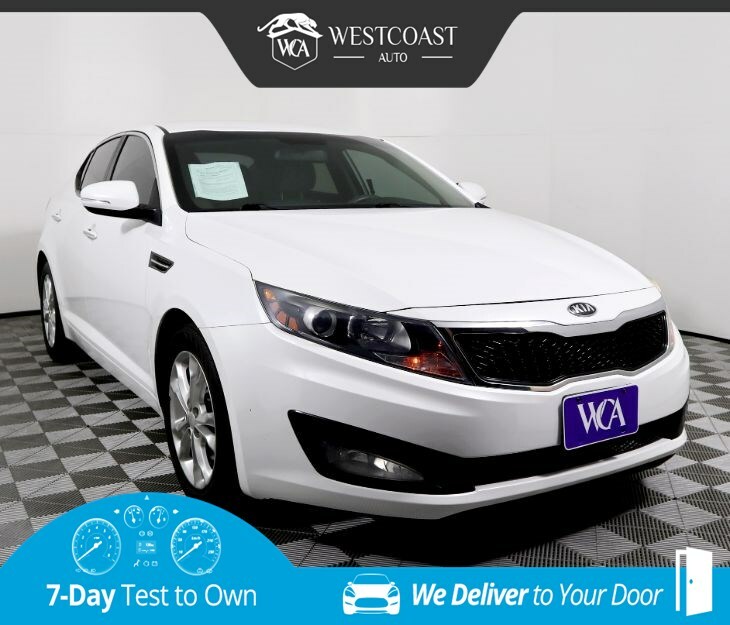 Meet our extraordinary One Owner, Clean CarFax 2013 Kia Optima LX Sedan shown off in Snow White Pearl and you'll realize this is not your typical family sedan. Powered by a 2.4 Liter 4 Cylinder that offers 200hp while the 6 Speed Automatic transmission offers smooth shifts. This Front Wheel Drive allows you to achieve up to 35mpg while offering a chiseled and sleek exterior accented with unique wheels, projection headlights, front fog lights, leaves people jealous and completely in awe. Our Kia is a recipient of the 2013 IIHS Top Safety Pick award thanks to features like six airbags, electronic stability control, and front and rear crumple zones among others. Print this page and call us Now... We Know You Will Enjoy Your Test Drive Towards Ownership! Great quality, easy financing and affordable prices aren't the only things that make Westcoast Auto Sales the first choice of many discerning auto buyers. Stop in and See California's Dealer of the Year!